I have always liked puzzles. 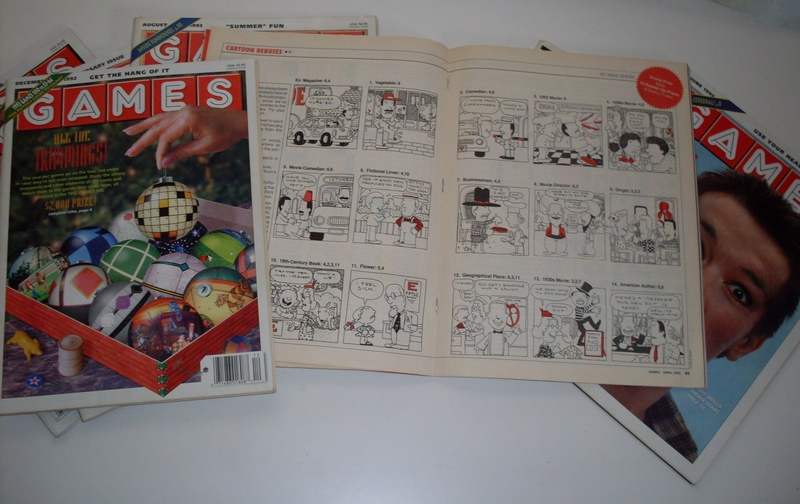 Before I had a computer I enjoyed the paper and pencil puzzles in Games Magazine, and especially looked forward to the cartoon rebus contests. I spent hours trying to get them all, but usually one or two would stump me. I’ve played various computer games, and especially enjoy Strike a Match and Know it All on Boxerjam. I love the Scrabble-like app on my tablet, and try my hand at the Sunday newspaper crossword. 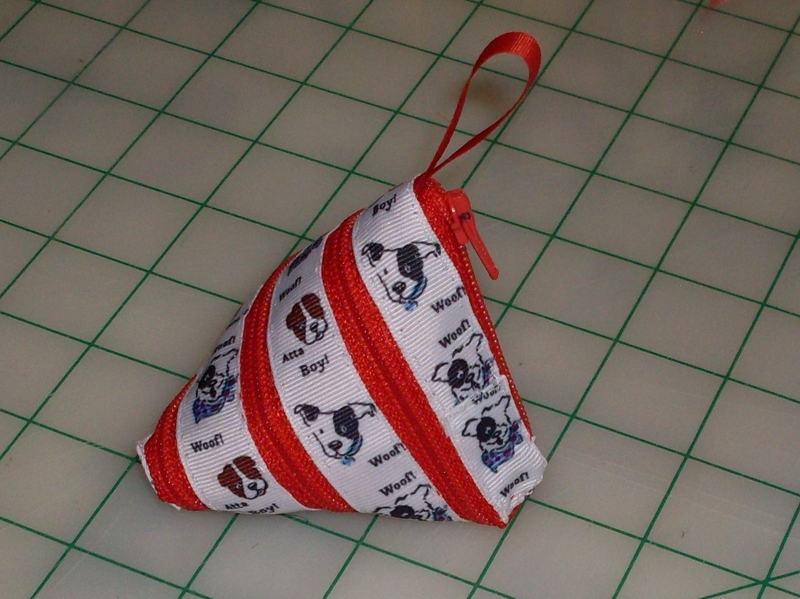 So when I saw this Zip-Itself Tetrahedron Coin Purse tutorial on Craft Passion I was intrigued. Could I figure it out? 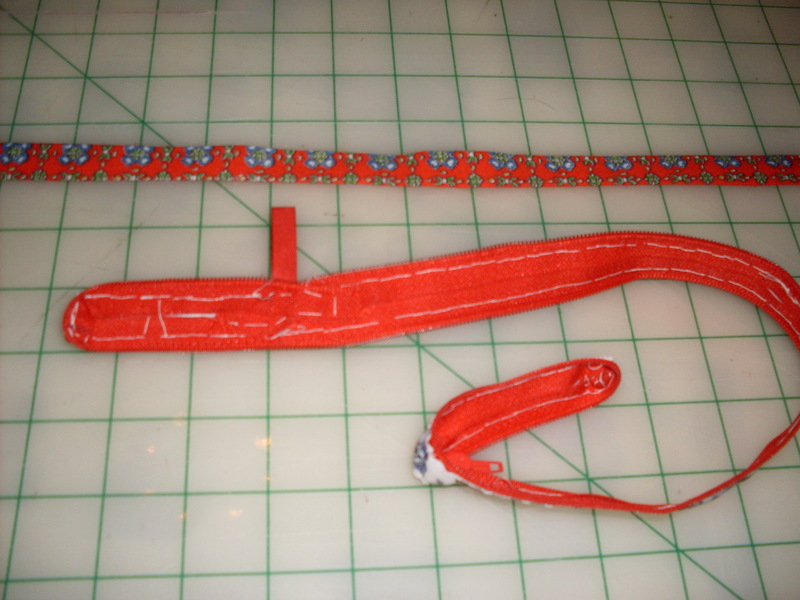 I cut a length of 5/8 inch ribbon, found a 22 inch zipper, a scrap for lining, a needle and thread, and began. 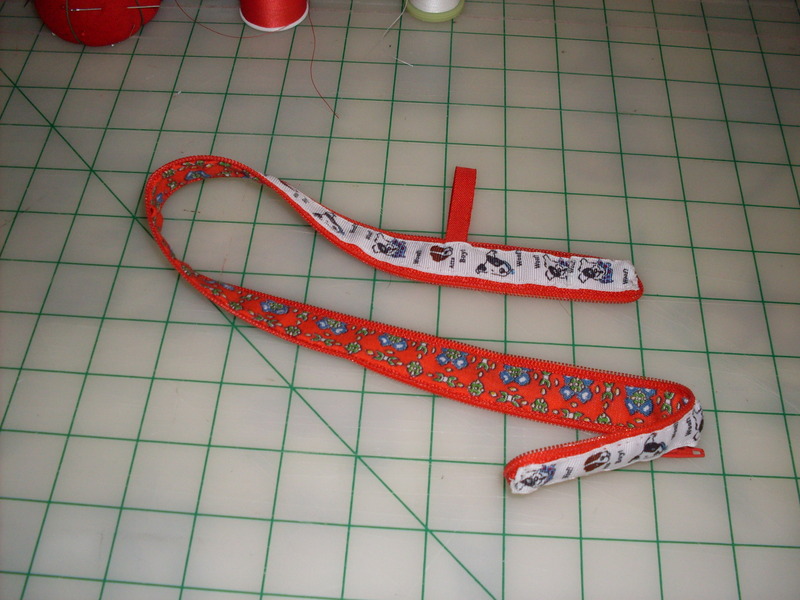 I didn’t have a 20 inch zipper called for in the tutorial so I used a 22 inch zipper, but I didn’t think to also increase the length of the ribbon. 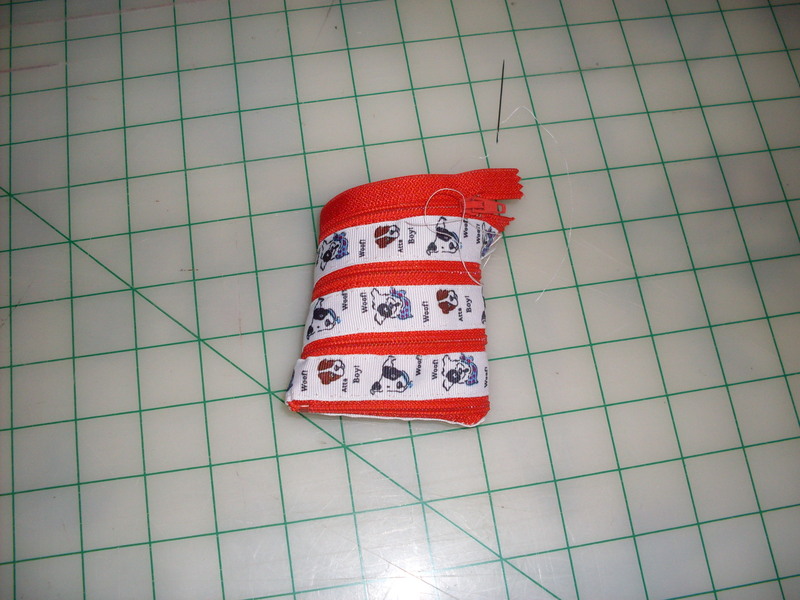 The hand sewing was awkward around the zipper turns, but I got it to zip up into a rectangle. Then I tried to shape it, and figure out how it closes. I looked at the diagram but it just wasn’t clicking in my mind. I came back to it the next day and realized that the long end of the zipper has to make another turn around then intersect the short end where the marking is for the hanging loop. It worked! I carefully stitched in the lining to finish. Mine is a little lopsided. Can you see my mistake? Solved! I will have to buy some more long zippers so I can try it with other ribbons. 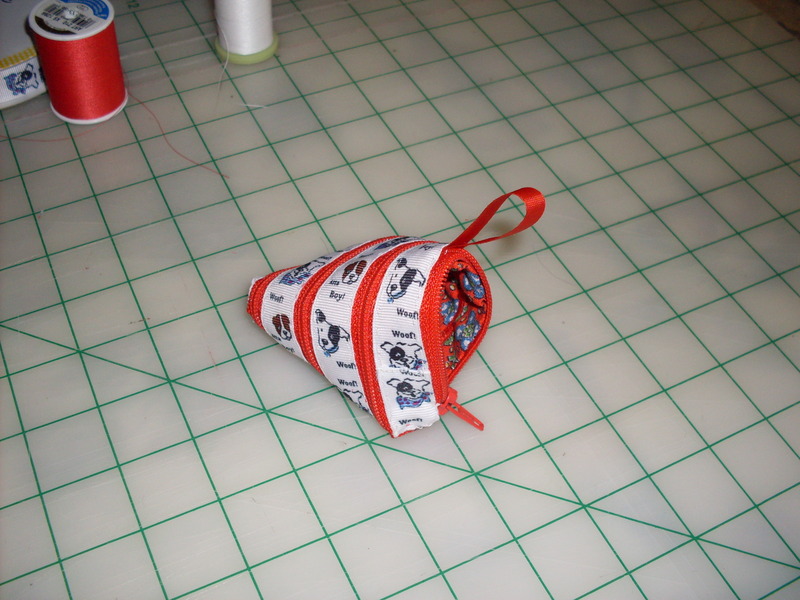 This entry was posted in Sewing and tagged Boxerjam, coin purse, Games Magazine, puzzles, zipper on January 15, 2013 by Stitch It Again.